The United Voice of American Sports Car Racing, IMSA Radio Is Go! The Tudor United Sportscar Championship dealt itself a number of tricky hands in its first year of competition but few were as badly received by the fanbase as their choice of radio service. The move late in the season to start discussions to bring a somewhat familiar service to TUSCC for 2015 was very widely welcomed and this week, Radio Show Limited, in partnership with IMSA, will launch IMSA Radio. 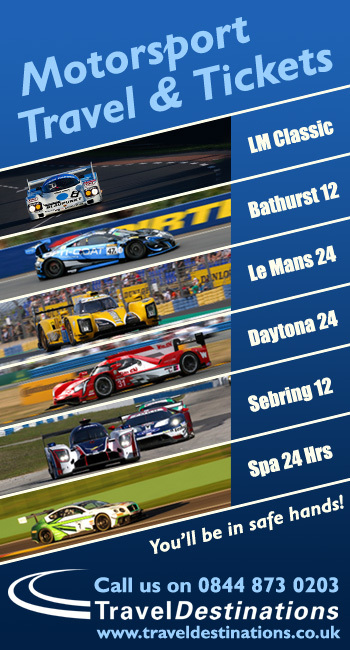 The bespoke service is dedicated to the IMSA calendar of events and will offer more live coverage than ever before. The intiative marks a return to North American racing coverage for Radio Show Limited. “RSL are unique in being able to offer a respected production along with a broadcast outlet with an established audience for this content. Obviously there are tremendous advantages in having IMSA Radio promoted alongside FiA WEC and the other globally recognised events that RSL already cover,” David Pettit added. Greg Creamer, Jeremy Shaw and John Hindhaugh have been announced as the mainstays of the broadcast for the 2015 season. However with the extended role of the service and the first two events being 24 and 12 hours, there will be additions to the team, as Radio Show Limited Managing Director Eve Hewitt explains. All the audio content will be presented live, free to air, without commercial interruption and without geographic restriction at www.IMSA.com and simulcast via the IMSA Radio tab at www.radiolemans.com where the audio archive will be available.